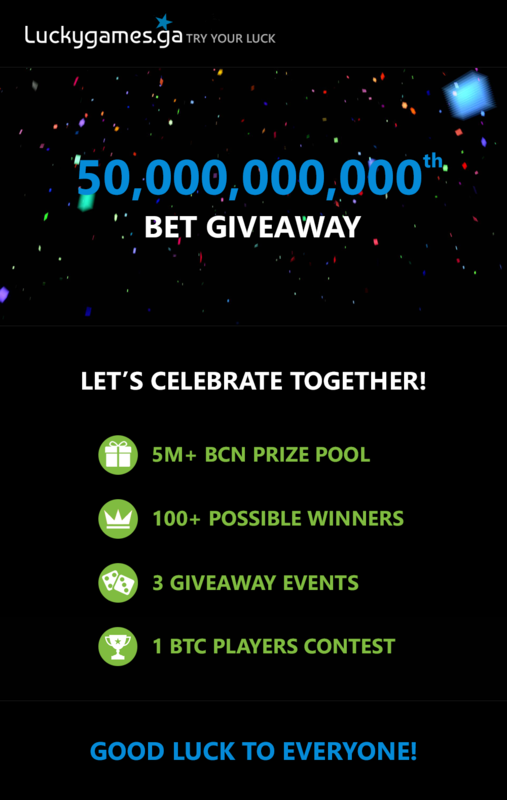 The 40,000,000,000th Bet Giveaway is Finished! We would like to congratulate our 144 Lucky Winners. This time we have given away 48,000 XLM (1.69 BTC) and 632 Days VIP! Thank you guys for staying with us tonight! It was really awesome Better luck next time for those who didn’t win Have a great time on LG!